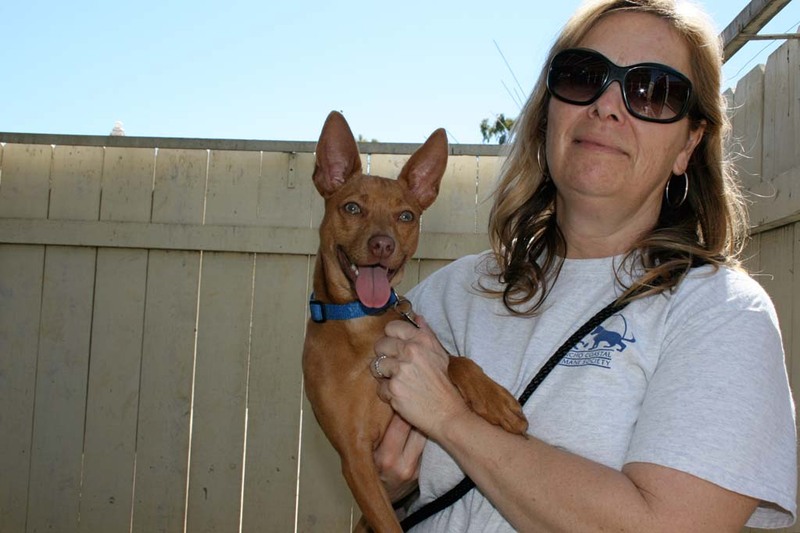 ENCINITAS — The Rancho Coastal Humane Society Animal Safehouse Program is one step forward in supporting victims and ending the cycle of domestic violence. John Van Zante, Rancho Coastal Humane Society public relations director, said when the humane society heard there was a need for the service they stepped forward and offered to shelter pets and allow victims to move forward. Van Zante said sometimes having a pet is one more reason for victims of domestic violence to stay in an unhealthy, unsafe household. Shelters for women and children are usually not equipped to accommodate pets. The animal safehouse allows victims and their children to get out of an unhealthy environment sooner, and be less likely to continue the cycle of abuse. “It’s a safety net for pets,” Van Zante said. The humane society shelters pets for 90 days. After that the owner can decide to put the pet up for adoption. Van Zante said most domestic violence victims relinquish ownership of their pet immediately. Once the pet is received, the humane society conducts a medical examination and behavior evaluation of the animal. Any needed medical attention and behavior therapy is given. Some pets can be put up for adoption right away. Others need time to overcome injuries. Van Zante said pets that have witnessed domestic violence are sometimes initially timid, but once they receive attention and affection they make very loving pets. Once pets are healthy they are put up for adoption and integrated with the rest of adoptable animals at the humane society. There is no charge for the safehouse service, and no limit on the number of pets that are taken in. Van Zante said another responsibility of the safehouse is guarding the pet from the abuser, who sometimes comes looking for the animal. The pet will not be returned to the unhealthy household. If necessary it will be moved from the humane society shelter to a secure location. Van Zante added abusers could be spouses, girlfriends, boyfriends, parents, grandparents, from all ethnicities and economic stratifications. “We all know somebody,” Van Zante said. The animal safehouse program began in 1997. Now the humane society works with numerous agencies countywide that help victims of domestic violence, including the Community Resource Center in Encinitas. The resource center has a safehouse for women and children, but like most shelters cannot accommodate pets. Women who seek support with the resource center have a 95 percent success rate to achieve a safe, stable, self-sufficient life.